When Adam tragically passes away, Gina is left all alone. Her friends and her sister try to cheer Gina up with wine-fuelled karaoke nights and plenty of gossip - yet life has never quite been the same. But when an Italian guest comes to stay at her B&B, change is in the air. Before long, Gina finds herself in Lake Como, thousands of miles away from her life - and her heartbreak. But it's not all picturesque mountains, pizza and prosecco. The crumbling lakeside guesthouse that Fabio has inherited from his family needs some serious TLC. Is she up to the challenge? As Gina and Fabio work in close quarters, sparks start to fly. But Fabio has a secret he is scared to share, and Gina has her past to come to terms with. Does her heart belong back home or is a life in the sun - with a very handsome Italian - just the change of scenery she needs? 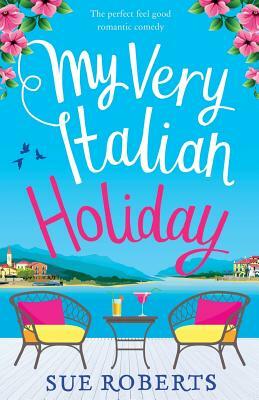 Escape to the gorgeous mountains and glittering Lake Como in Northern Italy This laugh-out-loud funny and feel-good story of starting over and living life to the max is perfect for fans of Kat French, Jenny Oliver and Carole Matthews.